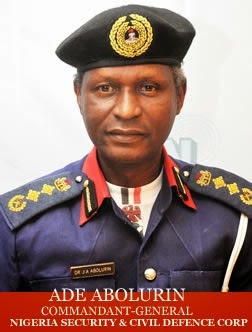 An assassination attempt on the new Commandant General of Nigeria Security and Civil Defence Corps (NSCDC), Dr Ade Abolurin was foiled during a recent attack on him by overzealous police officers in Ikorodu area of Lagos. 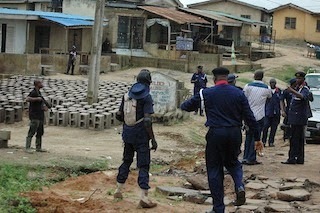 Pictures revealed how Abolurin was harassed and how he had to restrain his men when some policemen with the Inspector General of Police Task Force spotting an Anti-Pipeline Vandalism T-Shirt came to Isawo village, Ikorodu while Abolurin and his committee were inspecting compromised areas by vandals. After the incident, the police said it would investigate it but nothing has been heard about it up till today. Nigeria is the most lawless Country in the World.Nigeria government sent this man to investigate vandalism and again sent hired assassin to get rid of him. Who could any patriot serves his Country without fear of been killed?